Following confirmation by Minister of Immigration Godwin Hulse that Director Maria Marin had indeed recommended the termination of three passport officers suspended since September, the Public Service Union has come under sustained fire from certain quarters. Despite every indication that the scandal which affected the three public officers was instigated and facilitated by former Minister of State Elvin Penner, he has remained relatively unscathed. That has fueled fury at an overwhelming perception that public officers are generally punished while politicians have an apparently unlimited political protection. 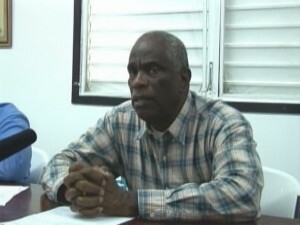 Last week both COLA and the Belize National Teachers Union remarked on the PSU’s seeming inactivity. But today, the PSU appeared unfazed, as representatives reiterated that there is a process and protocol which must be followed, and they intend to do just that. Ray Davis, Industrial Relations Officer, P.S.U. Hype? Is he on crack? This is the thing with hypocrisy. At some point, it is naked on the table for everyone to see. The PSU is clearly in bed with the Barrow administration. Suddenly, they are no longer interested in justice and laws. Couple years ago, different colour government, they were singing a different tune. Shameless whores! Justice is surely colour-blind! If these lower level employees are guilty of wrong doing for actions that were started at the top of the organization, something is wrong. So what are they saying, the people who put this whole for personal profit scheme in place is less guilty than the poor little guys who had to follow orders or loose your job. Can the people of Belize see what is so wrong with this whole immigration situation? I keep telling all you teachers these unions are in collusion with this gov. They don’t care about you all they want is more pay for themselves they don’t care about you get rid of these unions entirely you don’t need them they do not have your interest at heart.